Amanda Gerard, Finance Manager, a former Finance Controller, joined the NYF team in 2017. She has over 18 years of experience in the world of Finance and Accounting, working with various San Francisco retail companies and firms. Also, she has ten years of non-profit experience, working as a Managing Director in the theater arts. 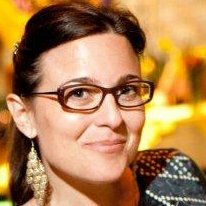 Julie Pofsky, a fundraiser with 15 years of experience in the nonprofit sector, joined the NYF team as Director of Development in 2016. Prior to NYF, she worked in Development at California Institute of Integral Studies (CIIS) and Breast Cancer Fund. Julie feels deeply about the health of the planet and its people, and her passion for fundraising is fueled by connecting donors with projects they care most about. When out of the office, Julie enjoys spending time with her loving husband and two young boys and playing in the great outdoors. Sanju Poudel, Associate Director of Development, is a first-generation Nepali-American fundraising professional who brings almost 10 years of development experience to NYF. She loves engaging with supporters to share important stories and improve people’s lives. With a degree in Anthropology from Boston University, she was previously the Associate Director of Development and Communications at Community Research Initiative in Boston, an HIV-AIDS research and outreach nonprofit. She’s spent her entire career devoted to empowering others, and is especially passionate about issues that impact children, women, and LGBT community members. She has two young kids, Nolan and Naya…and with her husband, Michael makes a home in Mill Valley.